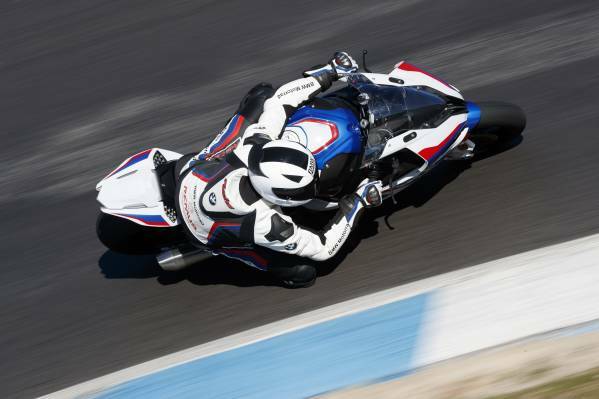 Topprestaties voor echte coureurs met het nieuwe BMW Motorrad motorpak. Op maat gemaakt, met een kleurschakering en logo’s naar keuze én met je eigen naam erop. Het nieuwe ProRace motorpak belooft topprestaties voor echte racers. Munich. To motorcycle racers, the suit is just as important as the motorcycle itself. The ProRace suits meets the very highest sporting standards, offering maximum freedom of movement and the kind of safety features that are indispensable in motor racing. Using the new online configurator, the suit can be individualised to create the ProRace Made-to-Measure – a racing suit tailored to the customer’s personal preferences with an extensive range of customisation and fittings options. The outfit is rounded off with ProRace boots and gloves. The close-fitting one-piece suit made of cowhide nappa leather offers a complete safety packaging in an uncompromising racing version. The protectors at the shoulders, hips, elbows and knees are sewn firmly into place. At the knees there are exchangeable sliders with highly abrasion-resistant velcro fasteners. There are three alternatives available in terms of back protection. This highly sensitive area can firstly be protected by means of an NP Pro back protector using the protector pouch on the back of the ProRace suit. Alternatively, strap-on protectors, the back protector and the back protector vest are also available. In addition to safety, a high level of wear comfort is crucial – especially when riding in racing conditions. In the ProRace suit this is ensured by means of numerous stretch inserts that guarantee immense freedom of movement. The perforated leather sections on the sleeves, chest area and thighs as well as a 3D spacer fabric in the back area ensure outstanding ventilation, enabling superb air circulation throughout the suit. For additional comfort, the ProRace suit is fitted with an aerodynamic rear hump. At an additional charge, the suit is available in a lighter and even more resilient kangaroo leather. Customisation also includes the option of adding individual team/sponsor logos and inscriptions or nicknames. Finally, a wide range of BMW Motorrad inscriptions and type designations such as RR, S 1000 XR, BMW M logo etc. round off the purebred racing look of the ProRace Made-to-Measure down to the last detail. As such, all racing needs are met and every specimen is entirely unique. outside) is optionally available: the protectors can be selected via the configurator in two different versions – standard foam or Vibram VPOD thermal foam. A chest protector can also be integrated in the ProRace Made-to-Measure suit. Meanwhile the aerodynamic hump on the back can optionally be fitted with a TrinkPak if required. 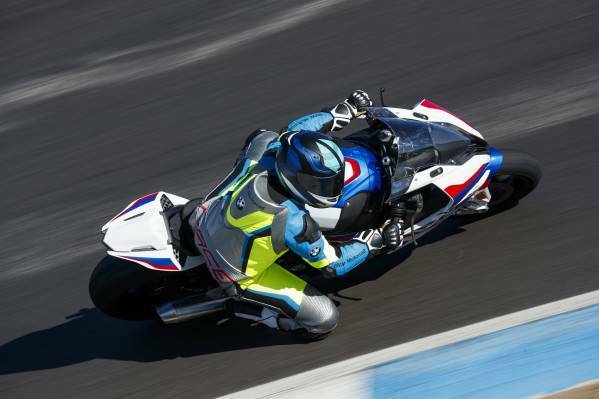 The customisable premium one-piece suit can be ordered using the configurator through authorised BMW partners or online through the BMW Motorrad licence partner. Apart from the variant Made-to-Measure the standard version is available in the sizes 46 to 60 and the colours black, white and red. Specifications of the BMW X1 xDrive25i, valid from 03/2019. Specifications of the BMW X2 xDrive20i, valid from 03/2019. Specifications of the BMW X2 M35i, valid from 03/2019.